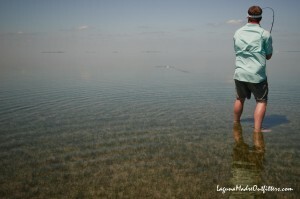 The Lower Laguna Madre is a shallow, hyper-saline lagoon perfectly suited for fly fishing. 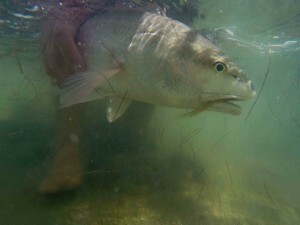 The entire Lower Laguna Madre averages only 2-3 feet in depth while most of our fly fishing occurs in water knee deep or less. 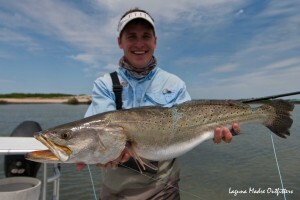 Located at the very southern tip of Texas, the Lower Laguna runs from South Padre Island to the land cut. The Lower Laguna is home to about 75% of the seagrass on the Texas coast which keeps the water extremely clear for the Texas gulf coast. 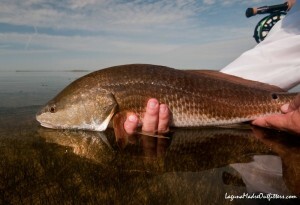 From mangrove lined west side bays covered in massive seagrass meadows, to the expansive east side sand flats, the Lower Laguna Madre offers the best fly fishing for redfish the Texas coast has to offer. 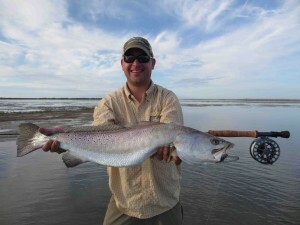 In addition to fly fishing for redfish, the Lower Laguna Madre is provides a unique chance to sight cast for very large speckled seatrout. 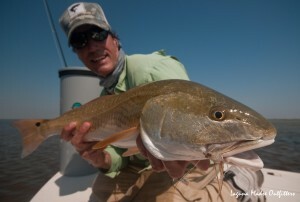 Laguna Madre Outfitters specializes in fly fishing for redfish and trophy trout. 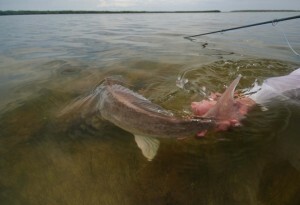 If fly fishing is not preferred, we can accommodate conventional tackle as well. 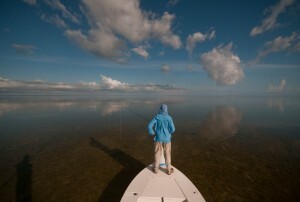 Fly fishing trips are limited to two anglers per boat. All fishing is done out of a 2016 Hell’s Bay Professional poling skiff although we do occasionally wade fish. 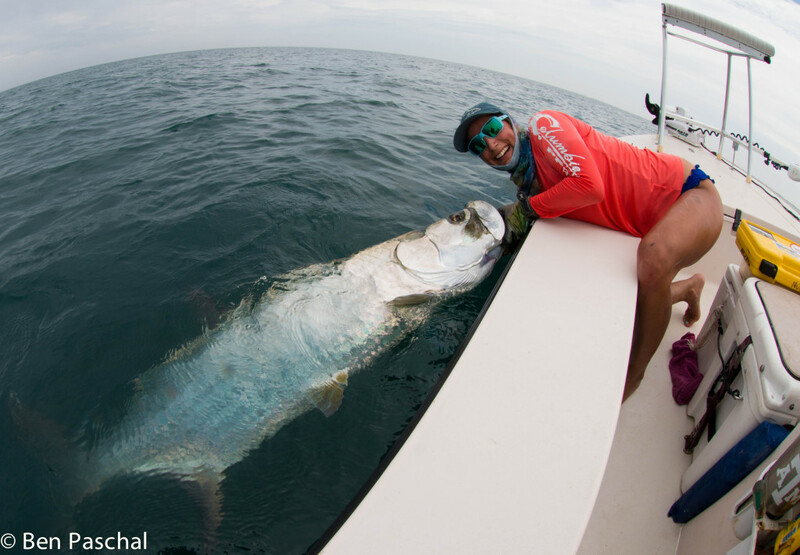 In addition to redfish, we have the option to target inshore species such as tarpon, jacks, kingfish, bonito, etc when conditions allow. 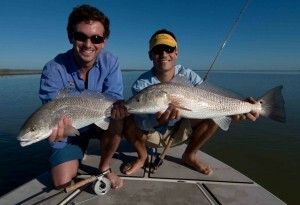 Fly Fish for redfish on Texas' Lower Laguna Madre and Louisiana Marsh with Capt. Ben Paschal. 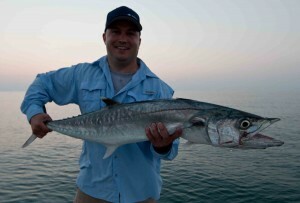 Charter fishing guide near South Padre Island, Arroyo City, Port Mansfield, and New Orleans.